Our legacy on display – one building at a time. 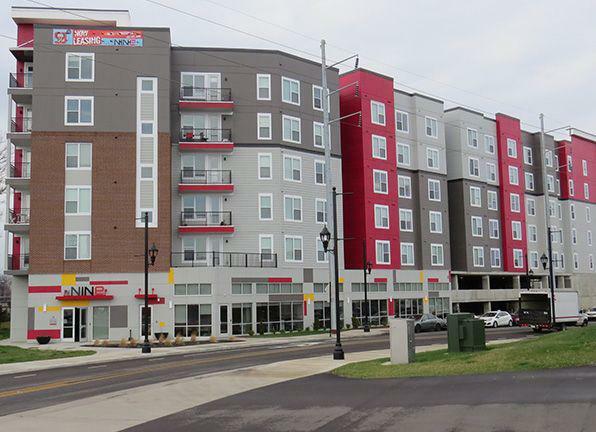 Advance serves every commercial and municipal need — including retail centers, water and wastewater-treatment plants, health-care facilities, office buildings, road work and countless other projects. The fact is, commercial and industrial customers rely on Advance when quality ready mix is needed with a level of service that guarantees success. Advance is equipped for even the biggest challenges. For the Ford Truck Plant, Advance poured over 2,500 yards of concrete in a single night. 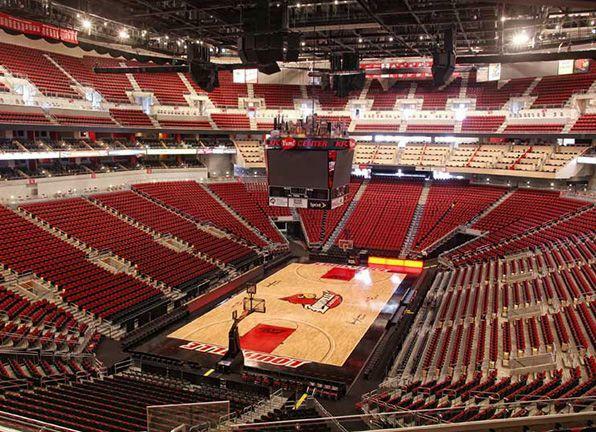 We also completed projects like the KFC YUM! Center with over 80,000 yards of concrete, Omni Hotel with 45,000 yards of concrete and the Ohio River Bridges Project with just over 250,000 yards in it. Small jobs receive no less attention. 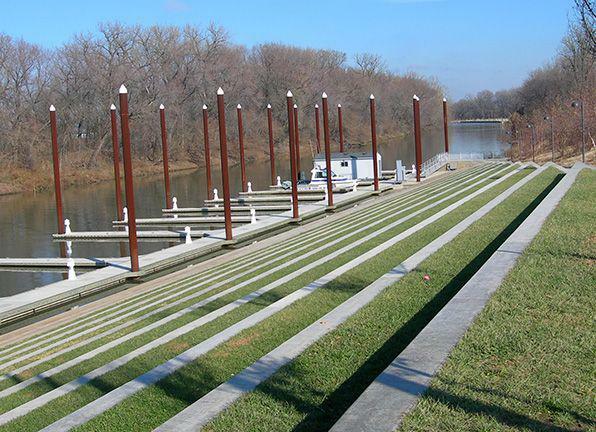 Banks, restaurants, sidewalks or parking lots – Advance supplies concrete to smaller commercial jobs every day. While we are proud of our large job accomplishments, we still take time to show the small guy he’s important. 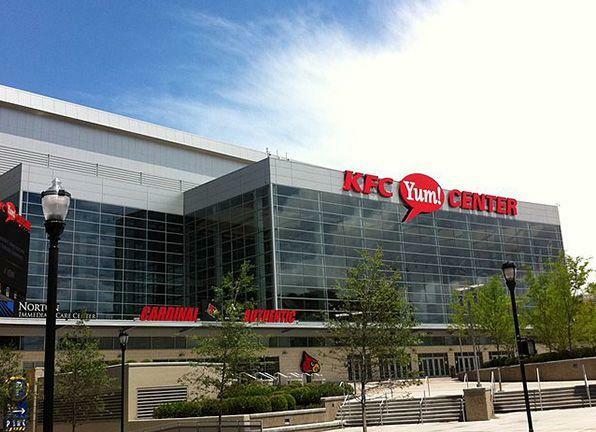 In addition to the large quantity of concrete on this project, the KFC Yum! Center gave Advance additional experience working on a challenging project both with regards to schedule and mix designs. 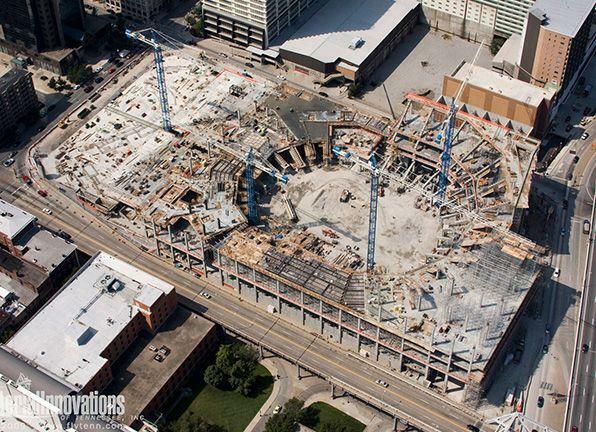 The concrete on the Yum! Center, despite the mass amounts, was all poured in just over a year. In addition to the fast paced schedule, the mixes on the project were far from basic. 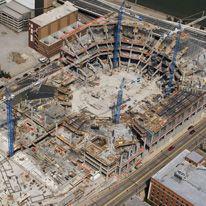 The construction of the KFC Yum! 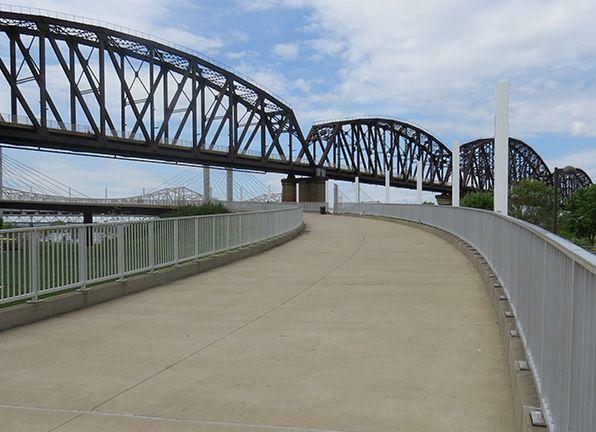 Center was a catalyst for downtown Louisville when construction began in 2008. This project served the same purpose for Advance Ready Mix. The 70,000 yards provided much needed work through the recession and was the largest project the company had ever done at that time. 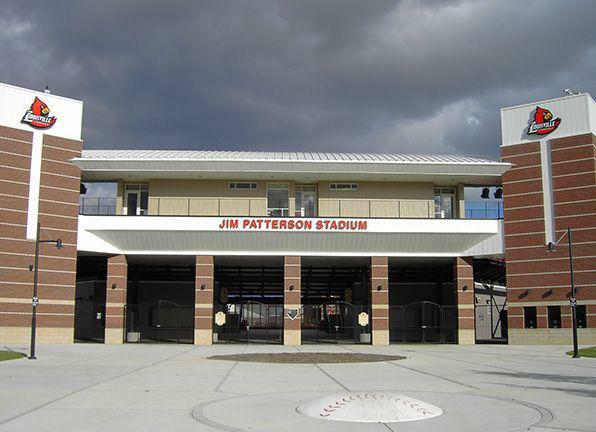 In addition to the large quantity of concrete on this project, it gave Advance additional experience working on a challenging project both with regards to schedule and mix designs. 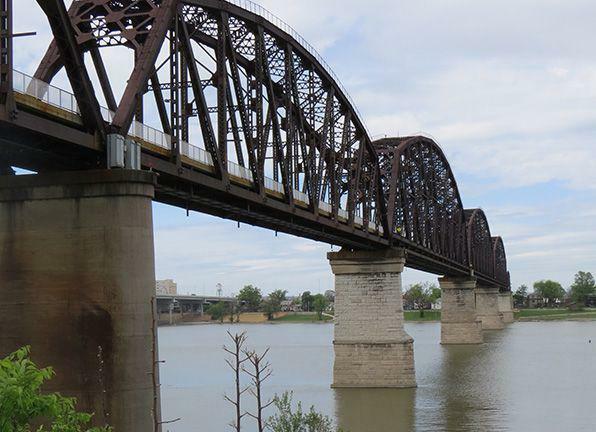 Despite the aggressive schedule and complicated mixes, Advance Ready Mix successfully completed the project and put itself in a position to tackle even more challenging projects like the Ohio River Bridges and Omni Hotel. 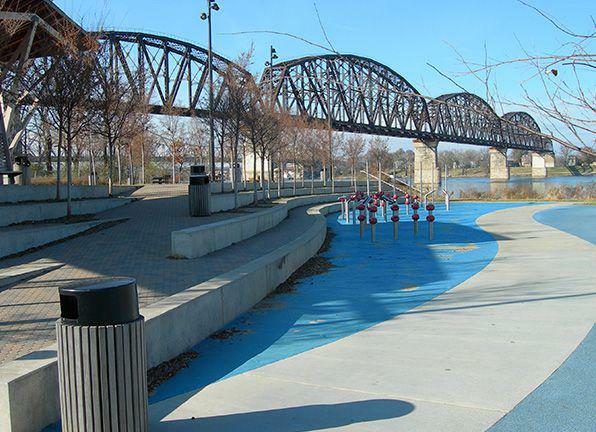 One thing that has been constant throughout all of the phases of Waterfront Park is the use of Advance Ready Mix concrete. 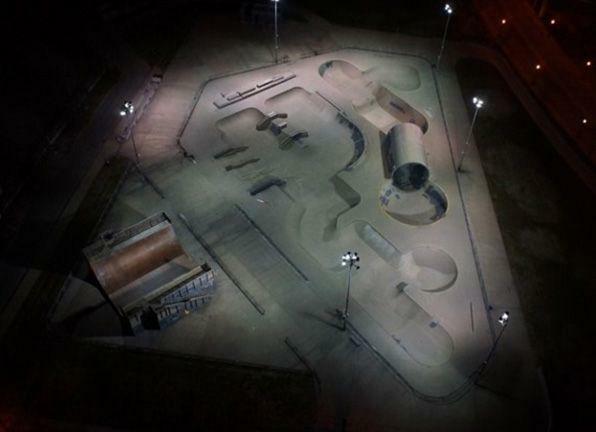 This project may not have been the largest or used the most concrete, but it is the perfect example of how a job can be converted to concrete. This job went out for bid as a masonry structure. The bids came back and it was all set to be a concrete block building. However, a lunch meeting withvance Ready Mix ande contractor changed everything. We discussed the benefits of insulating concrete forms and they were sold. 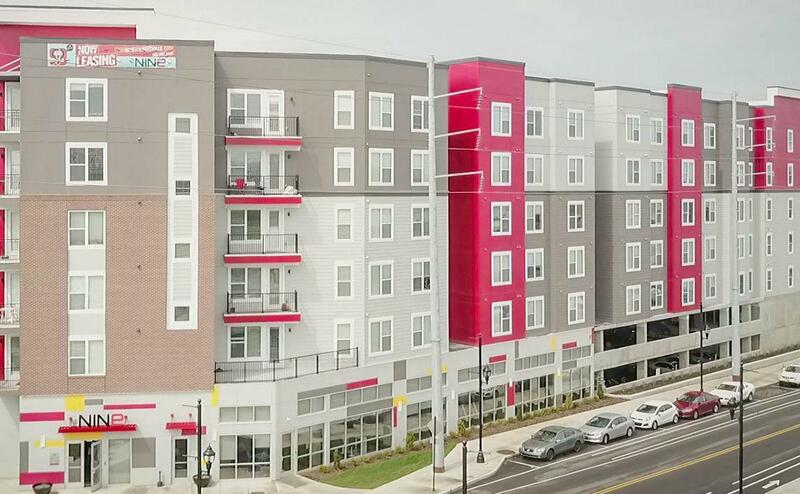 When you talk to people involved with the Bellarmine Siena Dorm project they note that the completion of the project on time was just short of a ‘miracle’. It began in mid-October of 2006 and had to be finished by the first week of August 2007r students to move into the dorms. The difficult site conditions and starting in winter set this project up to fail. However, the switch to ICF’s gave this project a chance. ICF’s can be installed faster than concrete block and are not subject to the weather limitations. There were numerous days that the ICF installers were on site and the masonsan>constructing the interior wallsan>were nowhere to be seen. Cold weather, rain and snow did not stop the ICF installation. All four phases were constructed using insulated concrete forms (ICFs). In addition to accelerating the building schedule, the ICFs provide a building envelope that is 50 to 70 percent more energy efficient than traditional stick-built structures. The forms are made from recycled material and also are 100 percent recyclable. Thanks to ICF’s the project was completed on schedule and in budget. 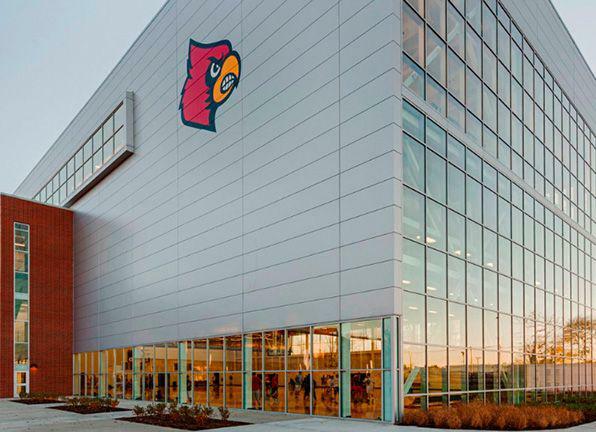 The University of Louisville has experienced a construction renaissance over the past decade and Advance Ready Mix has been an integral part of this building boom. While Advance hasn’t been the only supplier on campus, we have done the lion’s share of the work. 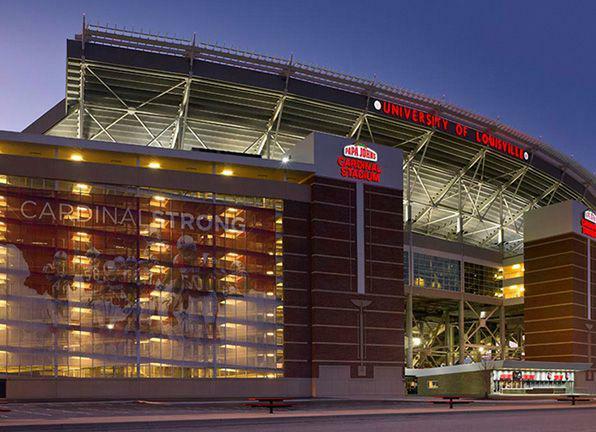 The University of Louisville has experienced a construction renaissance over the past decade, and Advance Ready Mix has been an integral part of this building boom. With this growth at the university, there has been a drastic increase in dormitories, classroom buildings, recreational facilities and sports complexes. 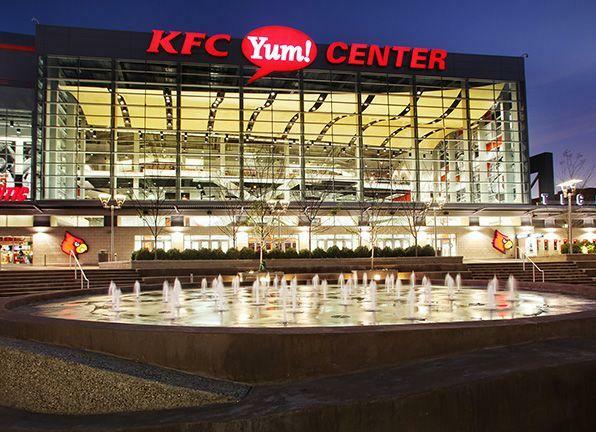 While Advance hasn’t been the only supplier on campus, we have done the lion’s share of the work, including the New Student Recreation Center, the YUM! 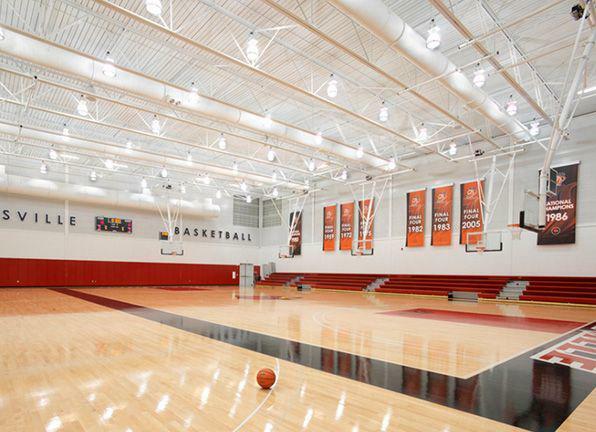 Practice Facility, numerous new dorms including the ACC , Cardinal Towne, Community Park, The Nine and the science classroom building. 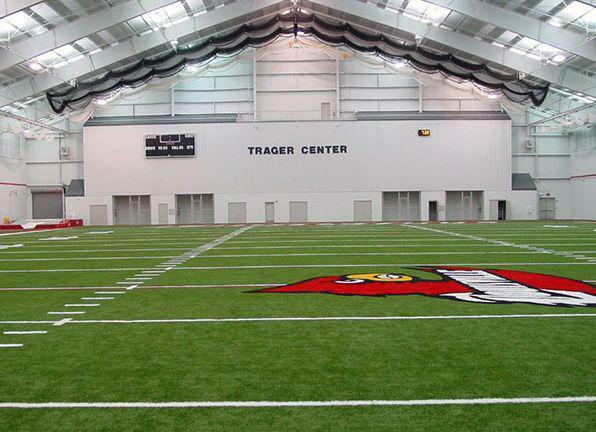 Along with the increase in students and athletics, the University of Louisville has taken great strides to lose its commuter school image of the 80s and become a beautiful and inviting campus. Advance has been a part of this beautification process by supplying concrete to some of the major streetscapes and enhancement projects on campus. In addition to this work on Belknap Campus, Advance has also supplied concrete to many of the buildings on the Shelby, Health Sciences and Nucleus campuses. Let Advance put our almost 40 years of experience to work for you on your next job. As a local WBE business we can give you the quality and service to exceed the big guys, while helping you meet your local and woman-owned business goals. In addition, every level of management is in town and accessible, so you can rest assured we stand behind our work. Want to know more? Send us an email.